When Nancy asked me to substitute for her as Master of Vernon Grange today I though about not only the connections I had with Norman through the Grange, but the many other connections I had with him, and a few words from the Twenty-Third Psalm came to my mind: "He leadeth me in the paths of righteousness." When I was a teenager, Norman was my 4H Leader. I bought hay from him for my animals. He got me to serve on the Vernon Conservation Commission. He asked me to join the Republican Town Committee. He invited me to become a member of the Agricultural Education Consultant Committee at Rockville High School. He was happy when I told him I was one of the founding directors of Connecticut Farmland Trust. He taught me to give of myself as he had done for the betterment of our community. The Grange started as an agricultural organization, so its teachings are based on farming. 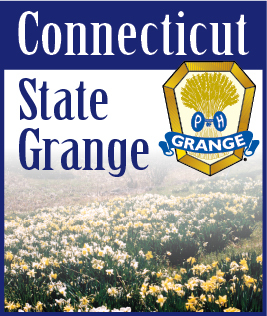 There are four degrees in the Subordinate, or Community, Grange, based on the four seasons of the year. In each degree the Master of the Grange delivers the most important instructions. Norman served as Master for the Fall and Winter Degrees and I serve as Master for the Spring and Summer Degrees. Paraphrasing from the Summer Degree, I have in my hand some kernels of corn. They are dry and hard, not much to look at, certainly nothing any of us would want to eat. But each year in the late spring we put those kernels of corn in the ground and cover them with dirt. To all appearances they are dead and buried, but in a few days they send forth green blades that grow until they produce a new crop of corn. Soon we will place Norman's mortal body in the ground and cover it with dirt. But just as we have faith that the seeds of corn will sprout and grow into a new crop, so we have faith that Norman will be resurrected into another world where there will never more be suffering or pain. He has laid down his implements on earth, but we have faith that he has been welcomed into that city not made with hands, eternal in the heavens, and received that welcome plaudit, "Well done, thou good and faithful servant."